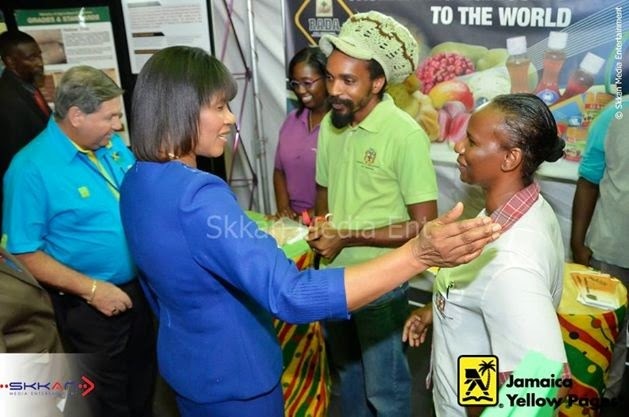 MADE IN JA: PM Portia Simpson-Miller greets exhibitors during Thursday's opening ceremony inside the National Arena. Above, Azan at the podium. For all its appeal and status as the largest and most comprehensive trade show of its kind in the English-speaking Caribbean, Expo Jamaica (now 42 years old) still has tonnes of room for improving on the framework, as it seeks to significantly increase export orders and boost local sales for its participants. Yet for some the question remains: Is the National Arena the ideal venue to host an event of this magnitude? "First of all, we need a better Kingston facility for an expo like this. The Arena is way too small," concedes noted businessman Omar Azan, CEO of Boss Furniture, one of the more than 140 exhibitors that set up shop at the expo last weekend. "There are many, many more manufacturers who would have loved to exhibit here, but the space is too limited." Dennis Hawkins of Spur Tree Spices Jamaica concurs. "The space for an expo of this size needs to be bigger," he says. "It would attract many more exhibitors." Branded the business hub of the Caribbean, both the upper and lower levels of the National Arena were appealingly done-up to hold displays spanning the gamut from art-and-craft to food and agro-processed products to furniture to printing and packaging services, with just enough space remaining for single-lane pedestrian traffic. But in spite of the perceived shortcomings, both Azan and Hawkins readily join their fellow businesspeople in expressing gratitude for the existence of such a wide-ranging consumer-oriented showcase. "It feels good to come here and sell because I am able to give my Jamaican people work," says Azan, whose company employs over 250 persons. "If I don't come here and sell goods I have to lay off the people, and I think that's something everybody here can relate to. It's great for marketing your products." Trekking around the venue, checking out the merchandize on display at this grand Jamaican affair, one can certainly see why Jamaica Manufacturers' Association boss, Brian Pengelley, says Expo Jamaica has set the bar for variety, quality and innovation among the Caribbean's largest business events. Signalling, indeed, that Jamaica is serious about business. 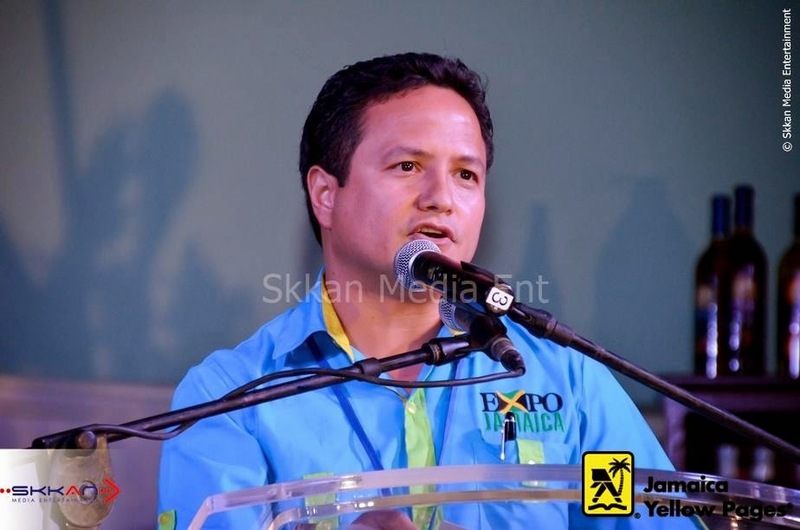 "Expo Jamaica is a testament that the manufacturing sector is very much alive, with over 2000 quality and authentic Jamaican-made products on showcase," he says, "and it presents a unique opportunity for buyers to forge linkages with manufacturers and become aligned with the great Jamaican brand, which continues to be in demand worldwide." And that is perhaps the key benefit for participating businessmen like Hawkins. "Export is our main thrust," he points out, "and the expo helps because the more you build and market locally, the more likely you will export."